Of all the major red grapes, Syrah must be the hardest to classify. Not only does if have two names – Syrah and Shiraz – but each reflects a different personality. This is a variety that can produce restrained and delicate wines, or, depending on climate and treatment, something rich and powerful. In terms of pure quality too, it can display different extremes, yielding something simple and inexpensive, or fine and pricey – indeed, it can make the greatest varietal reds in the world after Pinot. Purely in terms of image, however, Syrah doesn’t have the pulling power of Pinot. While people may love the wines of the northern Rhône, and crave the complexities of Hermitage, they don’t tend to eulogise about Syrah itself – which is, of course, the base grape of these great French wine regions. As for Shiraz, this is associated with the juicy generosity of Aussie reds, but people forget such ripeness can be reached in other places, from California to Tuscany. And they also sometimes fail to remember that Syrah can make elegant wines outside of its European heartland of the Rhône, something proven by the increasing number of refreshing examples from New Zealand – particularly Hawke’s Bay – and coastal Chile, above all Leyda and Limarí. Its many faces, of course, make it interesting to blind taste. Where does it excel, which styles emanate from which areas, and what are the overarching winemaking trends with this grape? All were questions answered by our Syrah Masters 2017. Initially though, one thing that is clear from this year’s competition is the sheer quality of Syrah being produced today. Indeed, there isn’t a Global Masters with better results – it yielded the highest number of Golds and Masters in the series so far. That may be connected to the complexities of commercialising Syrah. In essence, it is only produced by people who love the grape, and in places where it performs brilliantly, quite simply because, at the moment, it’s not particularly easy to sell. It should be said that there were wines in this year’s Syrah Masters that failed to gain top medals. Sometimes that was because there was a green pepper and olive character that verged on the bitter, no doubt because the grapes were picked a little too early. At other times it was because of a sulphurous whiff that didn’t clear with swirling – Syrah is a grape that is prone to producing sulphur dioxide either during or after fermentation. And then there were wines with raisined flavours and elevated alcohol levels, examples where it was clear the berries were exposed to excessive sun, or the bunches were harvested too late. Also, a few wines had seen too much new oak, masking the inherent characters of the variety with barrel-sourced flavours, particularly vanillin. But such negatives were rare. 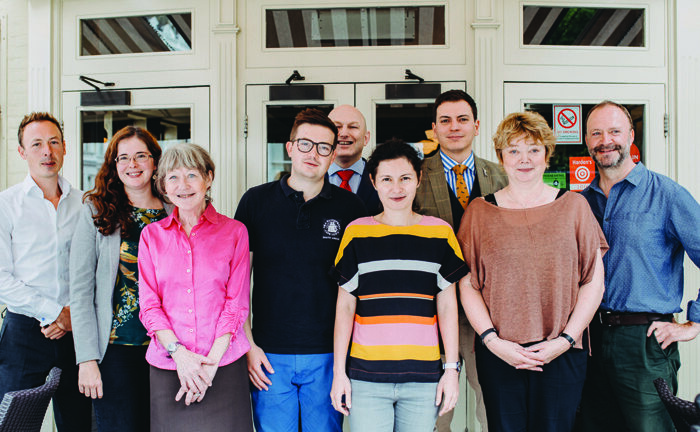 In the main, the judges witnessed wines with balance, albeit in different styles, which in turn were reflective of a range of source areas. Not only that, but they also enjoyed the characters of sensitively handled Syrah, from its black pepper, black cherry and blackberry flavours, to its firm tannins, intense colour, and bright acidity. 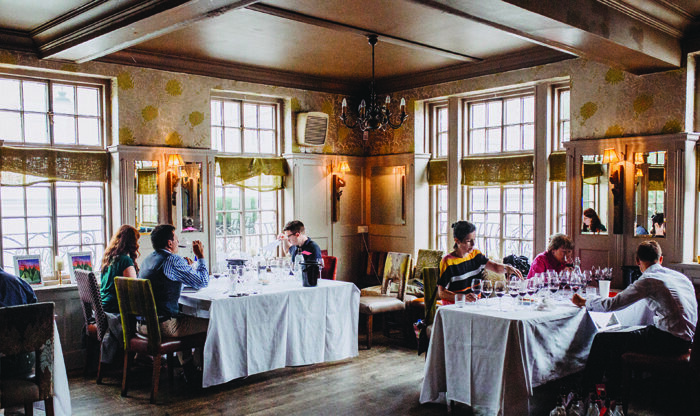 As for where Syrah excels, the results confirm what the professionals doubtless expect: the best wines were from the Northern Rhône, the Barossa, and the aforementioned areas of New Zealand and Chile. The surprises were the quality of wines possible with this grape in parts of South Africa, Italy and Portugal, with a Gold-medal-winning example from the Alentejo. Considering the price bands, Syrah can make good wines at low cost, but it seems there is a sweet spot for this grape at £15-£20, with two Masters achieved at what is a relatively low price for an outstanding wine. Because of the high number of top scoring samples, mentioning all the Gold and Master winners in this article would risk producing little more than a list. Nevertheless, certain names are worth picking out. In particular Wakefield Wines for their juicy but refreshing range of high-quality wines at price points from around £10 up to almost £50. Also, the skill of Penfolds with Syrah shone in this blind tasting, particularly its St Henri Shiraz, which, without the sweetness of ageing in new oak barriques, provides a pure expression of great Australian Shiraz in all its juicy, spicy and textured glory. Langmeil too, showed the wonders of Australian Shiraz from the Barossa, as did Château Tanunda, Kalleskie and Yalumba, while Yangarra highlighted the brilliance of the same grape grown in the McLaren Vale, and McGuigan the complexity of Shiraz from the Hunter Valley. Jacob’s Creek too proved its ability to craft lovely Shiraz at accessible price points when blended across south Australia, particularly this brand’s innovative ‘double barrel’ range, which sees its wines finished in aged whiskey barrels. Beyond Australia, New Zealand wowed with several examples of Hawkes Bay Syrah, particularly from Church Road and Elephant Hill, while South Africa impressed with its examples from Saronsberg in Tulbagh and Cloof in Darling. More surprising was the great Syrah blend from Monte Da Ravasqueira in the Alentejo and a varietal example from Planeta in Sicily. In short, the Global Syrah Masters highlighted the best places for this grape, the top producers, as well as the quality available in the market. It also showed that the more you pay, the better the wine. This may sound like an obvious point, but with some grapes in the Global Masters, this isn’t the case. In other words, Syrah is a safe bet at all prices, but a particularly savvy choice for fine wine lovers. 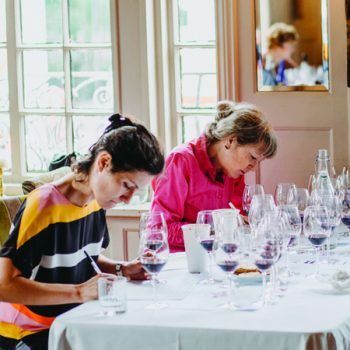 Over the following pages are the results in full from this year’s Syrah Masters, along with comments from the judges.